Francis Quirk was affiliated with a number of prominent institutions throughout his career and we have profiled several of them. One biography listed Quirk as a member at Woodmere. Recently, we had the distinct pleasure of visiting the Woodmere Art Museum located in the Philadelphia suburb of Chestnut Hill. Beside the Barnes Foundation, the Pennsylvania Academy of Fine Arts and the Philadelphia Museum of Art, there are many worthwhile places to visit in and around the City of Brotherly Love. The Woodmere Art Museum was established by Charles Knox Smith, a successful oil and mining business man in 1940. He built a special wing in his house to display his art collection. Today the Museum continues with a core collection on display and rotating exhibits. They recently added a lovely and noteworthy sculpture Free Interpretation of Plant Forms,a fountain designed by Harry Bertoia that was most recently in storage. It once graced the entrance of the Philadelphia Convention Center. Having seen it there many years ago sandwiched by the entrance in a sea of concrete, I can firmly attest that the current location on the Museum grounds is far superior; allowing the work to be enjoyed in a most pleasing environment. In the core collection are two particular paintings of note. The first, Morning in the Kaaterskill by Edmund Darch Lewis depicts the famously beautiful New York waterfall. The Catskills attraction is reputed to be a showstopper and is now on my agenda to visit on a lovely spring day when the leaves are popping and the water is flowing at high volume. Or perhaps on a hot Summer evening when we can enjoy a swim at the bottom pool. 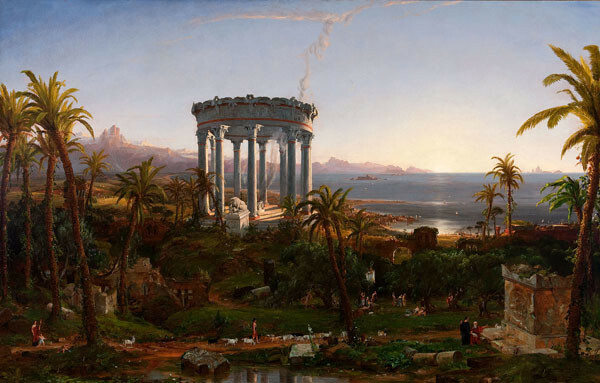 The second is Jasper Francis Cropsey’s Spirit of Peace, which was executed after the Civil War. 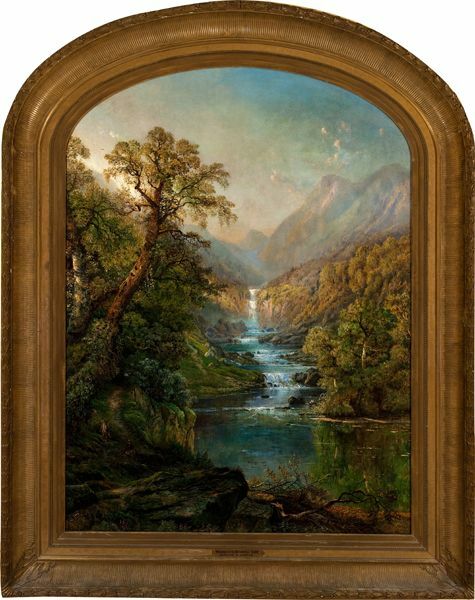 The famous Hudson River School artist wonderfully executed this placid scene. When we reached out to the Museum they could provide us with no further information on Quirk. But perhaps over time additional information will surface as Quirk was once one of the most prominent artists in Eastern Pennsylvania. He also was active in the area when Knox was still alive so there may be some connection waiting to be unearthed in the archives.